Landing a lunchtime burrito fix just got less complicated. 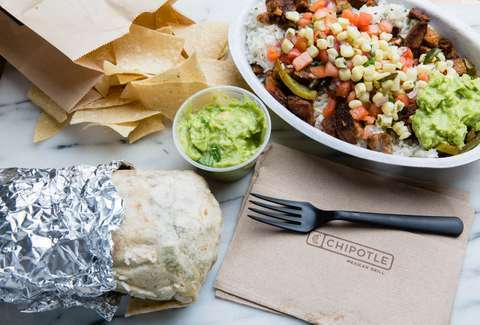 Chipotle has slowly rolled out increasingly comprehensive delivery options around the country, but on Tuesday, the fast-casual burrito chain announced another expansion: delivery right through its mobile app and website. The new feature is powered by DoorDash, which had previously handled the chain's deliveries through its own app. Now you can push through an order right in the Chipotle app and have a burrito bowl on your desk before you can say TPS reports. To celebrate, Chipotle is offering free delivery on any order of at least $10 (not including taxes and gratuity) through September 12. "Fans have long been requesting Chipotle delivery, and as part of our commitment to make it easy for our customers to get the delicious food they love when, where and how they want it, we’re rolling out our own delivery service powered through DoorDash as the last mile delivery partner," Curt Garner, Chipotle's chief digital and information officer, said in a statement. "We’re proud to be among the first fast-casual chains to offer this delivery service." The announcement boasts that the delivery interface offers the level of personalization customers are used to receiving at a Chipotle counter. You can have your burrito artist go light on the rice or do half and half proteins like you might request while dining-in. The announcement comes in the wake of yet another foodborne illness outbreak. The latest one occurred at an Ohio location where more than 600 people got sick from clostridium perfringens, which occurs when food is stored at an unsafe temperature. The chain previously announced plans to make delivery accessible through its app from all of its nearly 2,000 locations, up from the roughly 1,500 available through DoorDash. Tuesday's announcement says delivery will now be available "in all 70 markets at the over 1,800 Chipotle restaurants that DoorDash currently serves." So, if it wasn't available before, check your app. It might be burrito time.